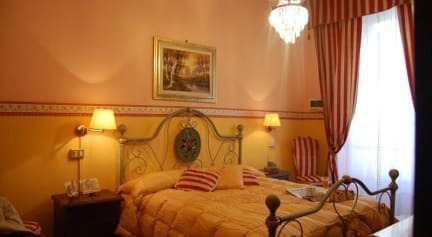 Great place to stay, so close to public transport it made our short trip to Rome hassle free. We stayed there many times over the years, always a pleasure. Alseandro and Maria are very nice hosts. The owner was very kind and friendly to help me on my luggage delayed at the airport. Everything was okay except the hot water for shower not functioning well. Large and spacious room - bathroom Ensuite was quite dirty I found. However, great location, hosts and safety, myself being a solo female traveller.